Sat., Feb. 2, 2019, 11:31 a.m.
SEATTLE – Seattle began a three-day goodbye party Saturday for an aging, double-decker viaduct that’s served as a main artery for commuters for decades. 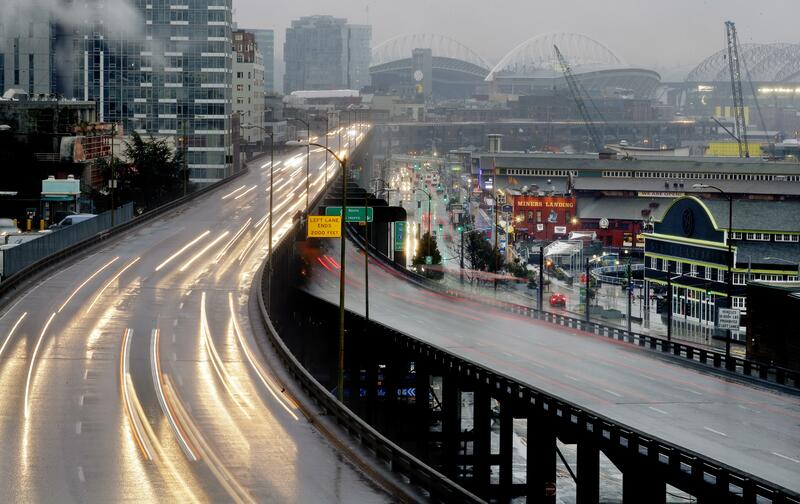 The 2.2-mile Alaskan Way Viaduct, which carried about 90,000 vehicles a day, will be replaced by a four-lane tunnel that’s set to open to traffic on Monday. Officials say tearing down the viaduct, damaged in a 2001 earthquake, will allow Seattle to reimagine its waterfront with new parks, paths and other amenities. The celebration marks the end of three weeks of a commuting nightmare after transportation officials closed the viaduct to realign the highway into the new tunnel. The closure became known as the “Seattle Squeeze” and forced thousands of residents to change their commuting patterns and methods. “I love it when I am coming back into town, and you are up high and you can see the whole city,” said Henderson. The tunnel is slated to open to traffic in time for the Monday morning commute. Published: Feb. 2, 2019, 11:31 a.m.